On Tuesday of this week (Aug. 30) every NFL team in the league will have to cut rosters from 90-man to 75-man. For the Bears, who are currently carrying an 85-man roster, that will mean waiving 10 players in the next two days. That will mean a lot of tweeting by myself and others who cover the team of names we barely know how to spell, and you barely recognize. For the casual fan, you may not recognize any of the undrafted free agents that will be let go. Unless, of course, one of those names is Andy Fantuz (likely). Just four days following the first NFL mandated roster cuts, teams will have to be down to their regular season weight – if you will – at 53 players on the active roster. Keep in mind, the team will release players it also intends to sign to its practice squad, assuming those players don’t get claimed on waivers. “Why,” you ask? It’s simple, really: I expect the Bears to pick up a few more guys off the waiver-wire between now and Saturday to fill in depth where I have left none. So, even though you may not be looking at a complete depth chart prediction, you will be able to do the math and figure out how many of each position I expect the team to hang onto. Like it or not, Chester Taylor is already out the door. The Bears have made their decision with him. The only question that remains is whether or not they will be able to trade him or be forced to cut him. He’s due $1.275 million in 2011, and my guess is that the Bears will have to cut the veteran back. The team is also faced with whether or not to keep seventh-round supplemental draft pick Harvey Unga. My prediction above has them letting him go, but I would not be surprised in the least to see him retained. 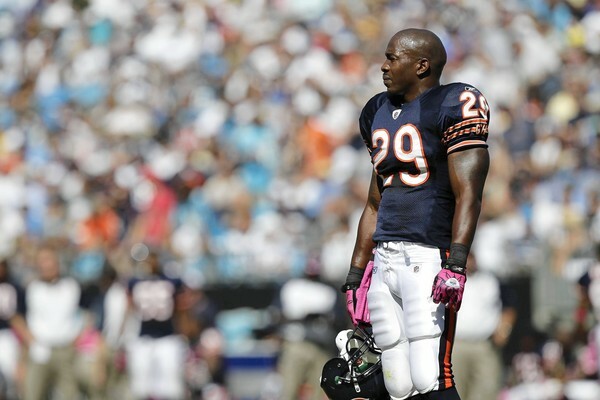 In my own humble opinion, Vernon Gholston has done nothing more than confirm his “bust” status in a Bears’ uniform. Despite that, I could still see the Bears hanging on to him for a little longer. Amobi Okoye has solidified his spot on the roster, but the team will want to see more before elevating his status. Marcus Harrison is gone as far as I’m concerned. Winston Venable? Yeah, I know. But the Bears really like his size and athleticism. But aside from that, who else do they have worth hanging onto? I don’t believe they will leave themselves with just four players at the position. If any of the current safeties on the roster stand a shot to claim that fifth spot, he’s it, in my opinion. That’s the extent of it for now, Bears’ fans. I’d love to hear what you think! It's very possible. Between him and Venable. I feel bad for Fantuz. I'm a lifelong fan of the CFL team he was on (Saskatchewan Roughriders) and I was sure he would have a hard time adjusting to the style of play in the NFL. Too small to be a tight end, too slow to be a big time reciever. Assuming he isn't claimed off of waivers by another NFL team he will go back to Saskatchewan, who could sorely use him now. Some guys that excel in the CFL do so because the rules (running start for inside recievers a.k.a. the waggle) are more conducive to those used in the American version of the game. I'm just dissapointed he didn't get more of a chance to play during the preseason games. True that his chances were significantly affected by the lockout, and his short adjustment period. I think they'll keep Dez Clark and put Adams on the practice squad along with Enderle and DiCicco and pick up a waived MLB. Fantuz could probably go to the practice squad, but he probably can make better money back in the CFL, although their season is half over. DJ Moore is one of Lovie's personal projects.. can't imagine them letting him go yet, otherwise Lovie wouldn't invest so much time on him. I undersand the thought process, but the Bears no reason to keep Desmond Clark on the active roster. And I don't think there's much of a chance of that happening. There's no guarantee they would be able to sign Adams to the PS. You don't take that chance on youn talent in favor of an old player you didn't even think highly enough to activate on gameday all last season. I don't think Fantuz even makes the PS, but wouldn't be shocked either way. I agree about DJ Moore, he's on my list. DJ Moore is the nickel back making him 2nd string right? I do see potential in Bowman and Graham. Nice to have much needed depth at the CB position. i am sure Andy Fantuz will laugh last. He will go home and have a banner year, while he watches the bears go 4-12 and laughs at the constant ineptitude of the reciever core they went with. he never had a chance from the get go, martz is looking out for his own and andy never had a chance to show why he was the best reciever in a league that is traditionally a "passing league". I feel sorry for the bears fans that have to endure a full season of mediocrity. Good Luck back in Canada Andy. Kevin, I don't think you understand that the NFL was a dream for Fantuz. He wanted this, and he knew it would be a difficult adjustment. Throw in a virtually non-existent offseason, and the fact that he may have been the slowest receiver on the team, and he knew this would be an up-hill battle in this league. Bears fans - myself included - were pulling for him. Just hasn't panned out. It's not about either side "laughing last." Stick with what you know in the CFL. You obviously know nothing about the NFL or the Chicago Bears. I trust that Mike Marts knows what he`s doing and the Bears offense will be much improved in year 2 of the system this season. I have inside information that Fantuz will not only make the team, but will have significant playing time. He doesn't drop the ball. As we all know, speed is not what's important in the NFL, it's quickness and hands. Look at the Raiders. Any more inside info you care to share? I still think Chester is getting let go, and the Browns game was a request from his agent to play so he could show he still has game. I wouldn't be shocked to find out his agent had to have him sign the insurance waiver on that. Even with Bell's ankle getting dinged, I think he's RB #3.